Kenya Airways has made it their motto to ‘connect Africa to the world and the world to Africa’ through phenomenal African hospitality in the skies. The airline is known for their outstanding comfort and exceptional in-flight service. All you have to do is relax and enjoy the flight. No stranger to being at the top of African aviation awards, Kenya Airways, as a member of the SkyTeam alliance, has been in the top 10 best African airlines for the past 16 years! Boasting a crew of friendly and helpful staff, it’s no wonder Kenya Airways holds the 2016 and 2017 World Travel Award for Africa's Leading Airline! Also, known as ‘Africa’s Pride’, the airline has contributed significantly to raising the standards of African aviation through their continued service excellence. Kenya Airways is one of the largest airlines in Africa, and flies all across the world to top destinations. The airline has grown tremendously since conception and continues to thrive across the African skies. Book Kenya Airways flights to Nairobi, Zanzibar, Mumbai and many other exciting places! Check the airline prohibited items list which includes items such as flammable liquids, ammunition, fireworks, explosives and flares. Also on this list are: lighters, corrosive materials, radioactive materials, sporting equipment such as billiard cues, golf clubs, baseball/cricket bats, hockey sticks, baby strollers and more. Please review this list on the airline's terms and conditions after making your booking. Only cats and dogs are allowed, and will be transported as cargo. Travelling pets should come with the necessary documents and all arrangements need to be made prior to travelling. For all international flights, passengers are required to check in at least two and a half hours before departure of flight, irrespective of cabin class. Counters close one hour prior to departure. 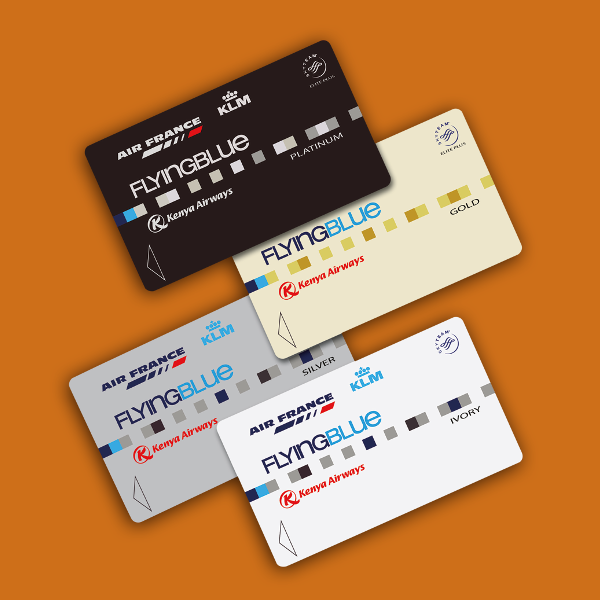 Passengers on domestic flights are required to produce an acceptable form of identification at check-in. They are required to check in at least 90 minutes ahead of time, irrespective of cabin class. Counters close 30 minutes before departure. Flying Blue Elite members (Gold and Platinum) travelling from Nairobi to any destination can enjoy priority check-in and boarding and lounge access with a guest too. You can now make use of the Kenya Airways online check-in portal with an e-ticket from 30 hours until 2 hours before departure! At the airport, drop off your luggage at the dedicated online check-in drop-off point and proceed to the boarding gate. 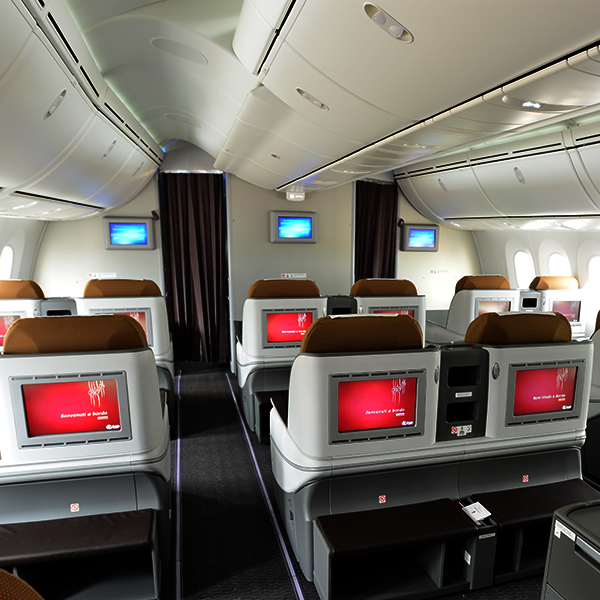 There are different flight classes for travellers such as the Premier Business and Economy Class services. These services come with different offers and incentives. Passengers have access to more than 1000 hours of audio-visuals, lots of movies in different languages, over 40 hours of TV series and documentaries, a range of radio stations and music albums for your delight. There are a number of different video games that can be played and the cabin crew is always on stand-by to assist you if you struggle to find something on the entertainment menu. Kenya Airways offers direct flights between Nairobi and Victoria Falls, Zimbabwe. This marks their 52nd destination and its second city in Zimbabwe after Harare where it operates 21 flights weekly. 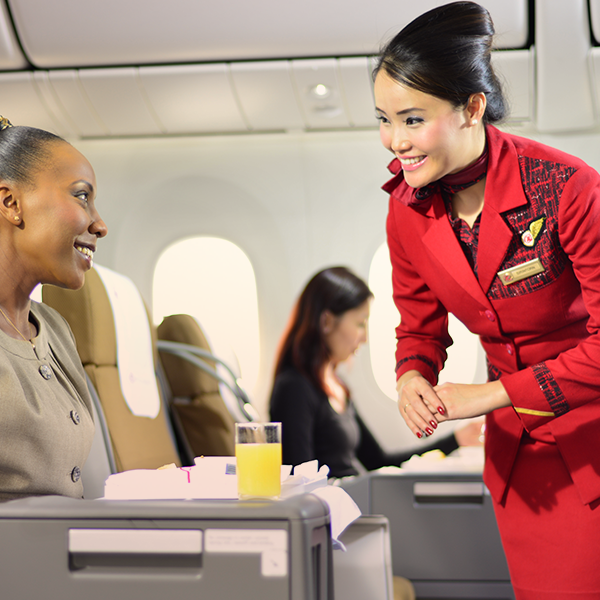 Together with their SkyTeam Alliance, Kenya Airways serves 56 cities in Asia, Africa and Europe. The alliance provides passengers with access to SkyTeam’s worldwide network and passenger facilities. Kenya Airways fleet include the B737-800, B737-700, B737-300, B777-200ER, B767-300 ER, Embraer 170 LR and Embraer 190 AR. The New Generation 777-300ER is about to join its fleet which has been voted as the world’s best aircraft. · 22nd Jan 2017 – KQ celebrated their 40th birthday!